Here’s to second chances! The first time I tried making spring rolls, they were a disaster. I swore I’d never attempt them again. Well, I’ve learned a few things since then and as it turns out, spring rolls really aren’t difficult to make at all! My loss is your gain – thanks to my mistakes, I’ll be able to help you avoid a few pitfalls and make delicious spring rolls on your very first attempt. 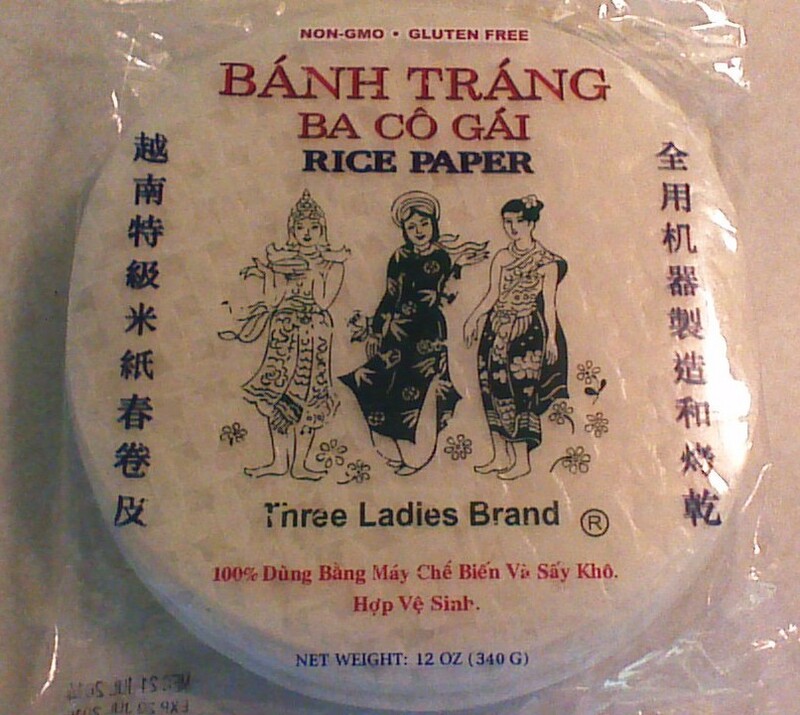 Fun fact: spring roll wrappers and vermicelli noodles are made of exactly the same thing… rice flour. 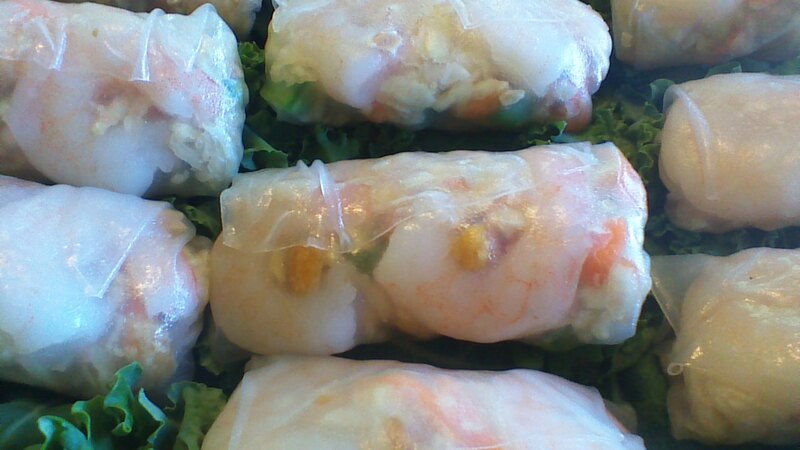 Many spring roll recipes include vermicelli noodles, which can be a bit sticky and cumbersome. It’s also redundant – like tucking spaghetti noodles into ravioli! In this recipe, we’re eliminating the vermicelli and making our spring rolls a bit smaller. This results in a bit more spring roll wrapper per bite than a restaurant spring roll might offer, but without the vermicelli, it’s essentially the same amount of rice flour. Step 1) In a medium size mixing bowl, whisk together chili vinegar, soy sauce, grated ginger, and crushed peanuts. 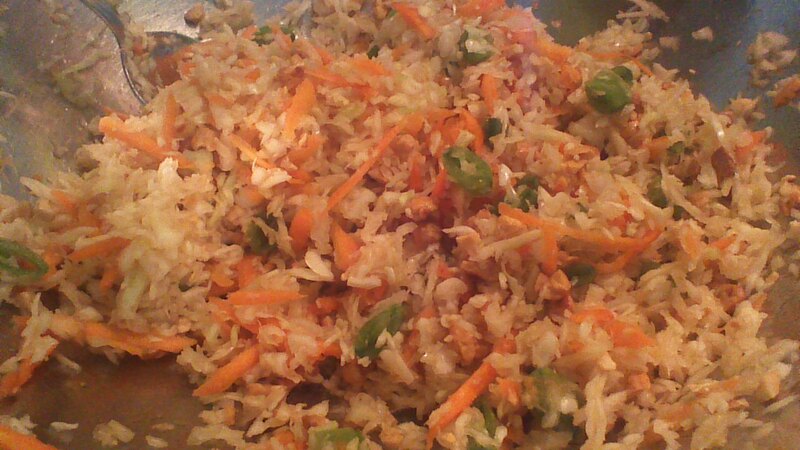 Fold in shredded cabbage, shredded carrot, and diced snow pea pods. Step 2) Place about 1 inch of water in a 12 inch skillet and bring to a simmer (not a boil) over medium heat. Step 3) When water is hot but not boiling, place ONE spring roll wrapper in the water for 2 SECONDS (really… just two seconds). Use a spatula to gently remove the spring roll wrapper from the water and place it on a wood cutting board. Gently smooth out the wrapper; a few wrinkles are fine. If parts of the wrapper are still hard, you can dip the wrapper in water again for an extra second. Step 4) Place 1 heaping tablespoon of filling in a small rectangle near the center of the wrapper. Top with two shrimp (tails removed). 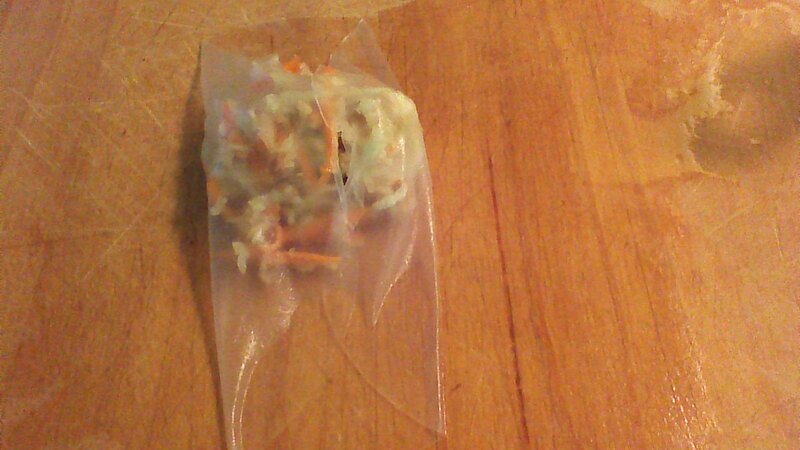 Step 5) Fold the sides of the spring roll wrapper over the short sides of the rectangle of filling, as shown. 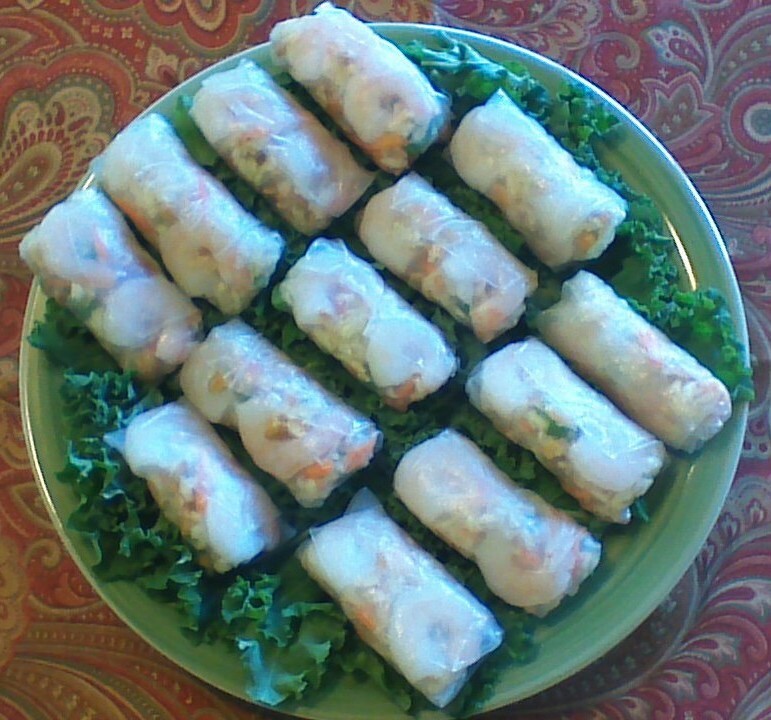 Then, gently roll the spring roll from top to bottom, sealing the filling inside of the spring roll. The wrapper will stick to itself and form a nice seal. Spring rolls are a FRESH food and are best enjoyed within a few hours of rolling (store in the refrigerator if not enjoying immediately). Try dipping your spring rolls in soy sauce, plum sauce, or peanut satay sauce – delicious! Spring rolls are inherently low in fat and are gluten free. You could also omit the shrimp and add some shredded greens for your vegan friends. Have fun! This entry was posted in appetizers, Gluten Free and tagged appetizers, China, Chinese, Cooking, Food, Gluten Free, healthy, low-fat, pescetarian, Recipes, Snacks. Bookmark the permalink. Those look so good! I may have to try this. We love them here at CEK! 🙂 Have fun with them!